Unlike other Academy Awards, the Best Foreign Language Film Award is not presented to a specific individual. It is accepted by the winning film's director, but is considered an award for the submitting country as a whole. Over the years, the Best Foreign Language Film Award and its predecessors have been given almost exclusively to European films: out of the 68 Awards handed out by the Academy since 1947 to foreign language films, fifty-six have gone to European films, five to Asian films, three to African films and three to films from the Americas. Italian filmmaker Federico Fellini directed four Best Foreign Language Film Academy Award–winning motion pictures during his lifetime, a record that remains unmatched as of 2015 (if Special Awards are taken into account, then Fellini's record is tied by his countryman Vittorio De Sica). The most awarded foreign country is Italy, with 14 awards won, 3 Special Awards and 31 nominations, while France being the foreign country with the largest number of nominations (39 for 12 win) and Israel being the foreign country with the largest number of nominations, 10, without winning an award. Portugal has the largest number of submissions (30) without a nomination. When the first Academy Awards ceremony was held in 1929, no foreign language film was honored. During the early post-war era (1947–1955), eight foreign language films received Special or Honorary Awards. Academy leader and board member Jean Hersholt argued that "an international award, if properly and carefully administered, would promote a closer relationship between American film craftsmen and those of other countries". The first foreign language film honored with such an award was the Italian neorealist drama Shoeshine, whose citation read: "the high quality of this motion picture, brought to eloquent life in a country scarred by war, is proof to the world that the creative spirit can triumph over adversity". In the following years, similar awards were given to seven other films: one from Italy (The Bicycle Thief), two from France (Monsieur Vincent and Forbidden Games), three from Japan (Rashomon, Gate of Hell and Samurai, The Legend of Musashi), as well as a Franco-Italian co-production (The Walls of Malapaga). These awards, however, were handed out on a discretionary rather than a regular basis (no award was given at the 26th Academy Awards held in 1954), and were not competitive since there were no nominees but simply one winning film per year. Unlike other Academy Awards, the Foreign Language Film Award does not require films to be released in the United States in order to be eligible for competition. Films competing in the Foreign Language Film category must have been first released in the country submitting them during the eligibility period defined by the rules of the Academy, and must have been exhibited for at least seven consecutive days in a commercial movie theater. The eligibility period for the Foreign Language Film category differs from that required for most other categories: the awards year defined for the Foreign Language Film category usually begins and ends before the ordinary awards year, which corresponds to an exact calendar year. For the 80th Academy Awards, for instance, the release deadline for the Foreign Language Film category was set on September 30, 2007, whereas the qualifying run for most other categories extended till December 31, 2007. Although the Academy Award for Best Foreign Language Film is commonly referred to simply as the Foreign Film Oscar in newspaper articles and on the Internet, such a designation is misleading, since a film's nationality matters much less than its language. Although a film has to be "foreign" (i.e. non-American) in order to be nominated for the Award, it also has to be in a language other than English. Foreign films where the majority of the dialogue is in English cannot qualify for the Foreign Language Film Award, and the Academy has usually applied this requirement very seriously by disqualifying films containing too much English dialogue, the most recent case being that of the Israeli film The Band's Visit (2007). Despite the basic importance of the foreign language requirement, a completely dialogueless film such as Le Bal (1983) was nominated in the Foreign Language Film category. Since the 2006 (79th) Academy Awards, submitted films no longer have to be in an official language of the submitting country. This requirement had previously prevented countries from submitting films where the majority of the dialogue was spoken in a language that was non-native to the submitting country, and the Academy's executive director explicitly cited as a reason for the rule change the case of the Italian film Private (2004), which was disqualified simply because its main spoken languages were Arabic and Hebrew, neither of which are indigenous languages of Italy. This rule change enabled a country like Canada to receive a nomination for a Hindi-language film, Water. Previously, Canada had been nominated for French-language films only, since films shot in Canada's other official language (English) were ineligible for consideration for the Foreign Language Film category. Before the rule change, Canada had submitted two films in different languages—the invented-language film A Bullet in the Head in 1991 and the Inuktitut language film Atanarjuat: The Fast Runner in 2001. Inuktitut, one of the country's aboriginal languages, is not official throughout Canada, but was (and still is) official in Nunavut and the Northwest Territories. Neither film earned a nomination. The rule change, however, did not affect the eligibility of non-English speaking American films, which are still disqualified from the Foreign Language Film category due to their nationality. Because of this, a Japanese-language film like Letters from Iwo Jima (2006) or a Mayan-language film like Apocalypto (2006) were unable to compete for the Academy Award for Best Foreign Language Film, even though they were both nominated for (and, in the case of Letters from Iwo Jima, won) the Golden Globe Award for Best Foreign Language Film, which does not have similar nationality restrictions. The nationality restrictions also differ from the practice of the British Academy of Film and Television Arts (BAFTA) for their analogous award for Best Film Not in the English Language. While BAFTA Award eligibility requires a commercial release in the United Kingdom, that body does not impose a nationality restriction. As known, all films produced inside the United States have been ineligible for consideration for the Academy Award for Best Foreign Language Film regardless of the language of their dialogue track. This fact also included films produced in U.S. overseas possessions. However, Puerto Rico is an unincorporated territory of the United States and used to be eligible due to Puerto Ricans having had American citizenship since 1917. Their best success in this award was receiving a nomination for Santiago, the Story of his New Life (1989). However, as of 2011, the Academy had decided not to allow submissions from the territory anymore. 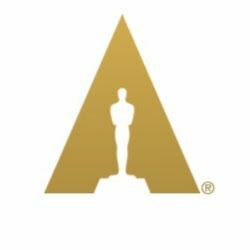 The rules currently governing the Foreign Language Film category state that "the Academy statuette (Oscar) will be awarded to the picture and accepted by the director on behalf of the film's creative talents" (emphasis added). Therefore, the director does not personally win the Award, but simply accepts it during the ceremony. In fact, the Foreign Language Film Award has never been associated with a specific individual since its creation, except for the 1956 (29th) Academy Awards, when the names of the producers were included in the nomination for the Foreign Language Film category. A director like Federico Fellini is thus considered to have never officially won an Academy Award of Merit during his lifetime, even though four of his films received the Foreign Language Film Award (the only Academy Award that Fellini personally won was his 1992 Honorary Award). On the other hand, producers Dino De Laurentiis and Carlo Ponti are considered to have personally won the 1956 Foreign Language Film Award given to Fellini's La Strada (1954), since their names were explicitly included in the nomination. In recent years, the Academy's very definition of the term "country" itself has been polemical. The submissions for the 75th Academy Awards, for instance, became shrouded in controversy when it was reported that Humbert Balsan, producer of the critically acclaimed Palestinian film Divine Intervention (2002), tried to submit his picture to the Academy but was told it could not run for the Foreign Language Film Award since the State of Palestine is not recognized by the Academy in its rules. Because the Academy had previously accepted films from other political entities such as Hong Kong, the rejection of Divine Intervention triggered accusations of double standard from pro-Palestinian activists. Three years later, however, another Palestinian-Arab film, Paradise Now (2005), succeeded in getting nominated for the Foreign Language Film Award. The nomination also caused protests, this time from pro-Israeli groups in the United States, who objected to the Academy's use of the name "Palestine" on its official website to designate the film's submitting country. After intense lobbying from Jewish groups, the Academy decided to designate Paradise Now as a submission from the Palestinian Authority, a move that was decried by the film's director Hany Abu-Assad. During the awards ceremony, the film was eventually announced by presenter Will Smith as a submission from the Palestinian Territories. Another object of controversy is the Academy's "one-country-one-film" rule, which has been criticized by filmmakers. The Guardian said that the idea of a Best Foreign Language Film category itself is a "fundamentally flawed premise" and this is the "most critically sneered-at of all Oscar categories". It also stated "In a perfect world — or, at least, as perfect a world as would still allow for gaudy film-award pageantry — there’d be no need for a separate best foreign language film Oscar. The fact that, after 87 years, the Academy has yet to honour a film not predominantly in English as the year’s best [Best Picture] says everything about their own limitations, and nothing about those of world cinema".